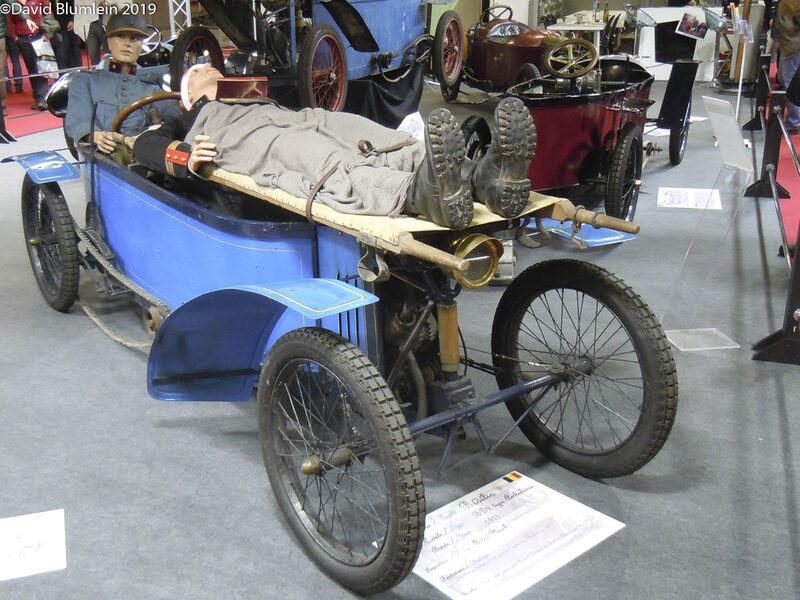 A superb example of a French Bédélia cyclecar which dates from 1910. 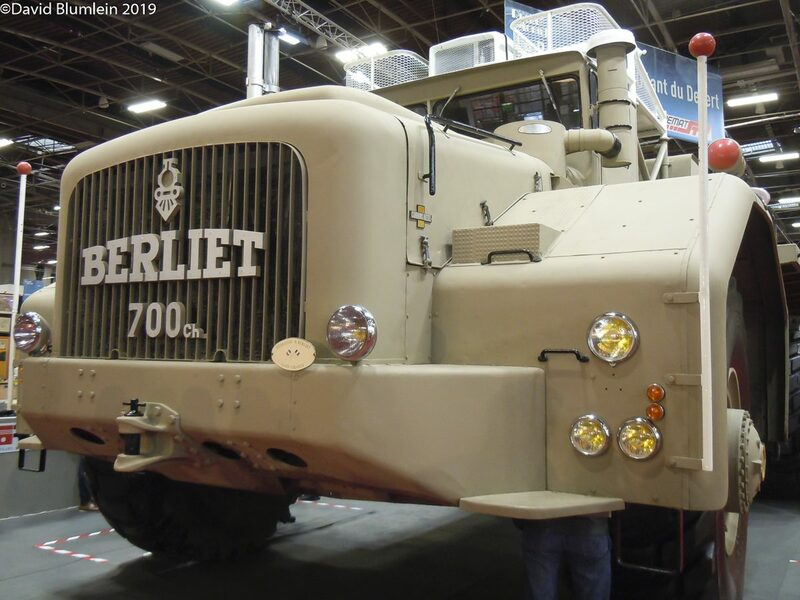 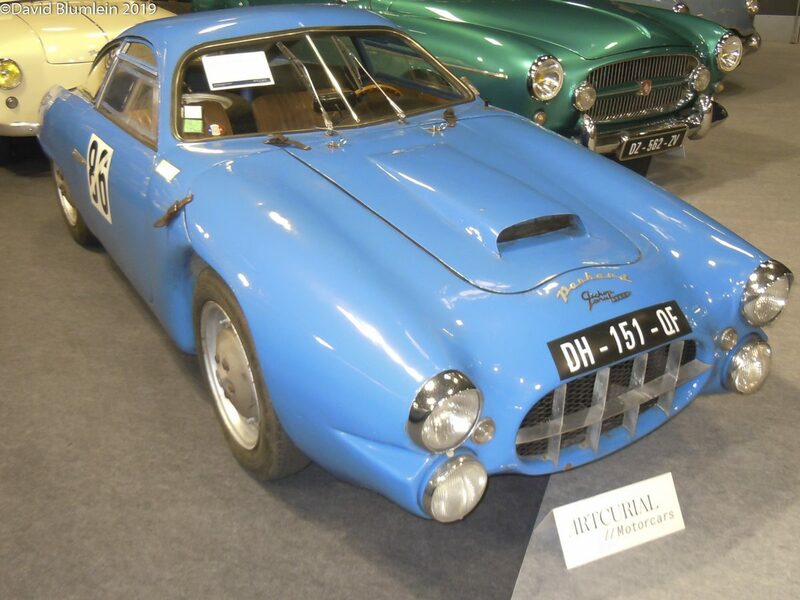 The owner had just brought it over from France and it is a Type BD2 with a 990 c.c. 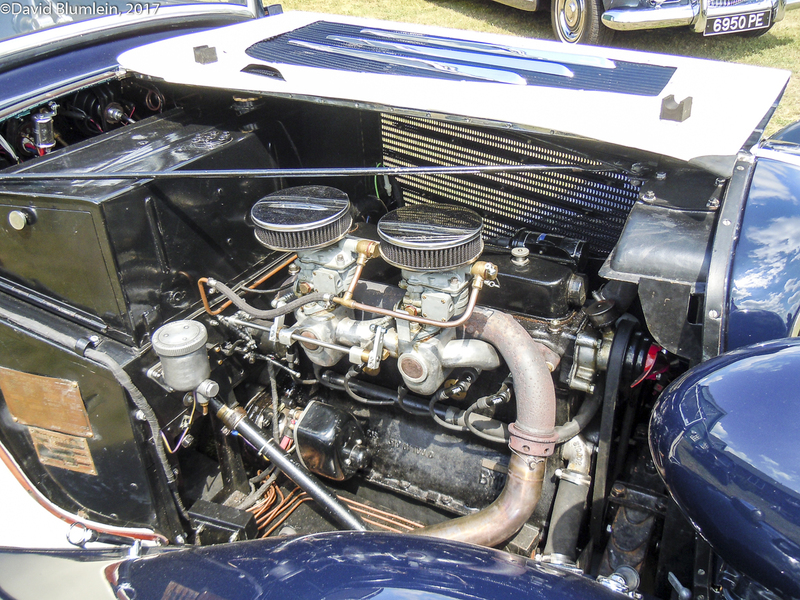 V-2 Train air cooled motor. 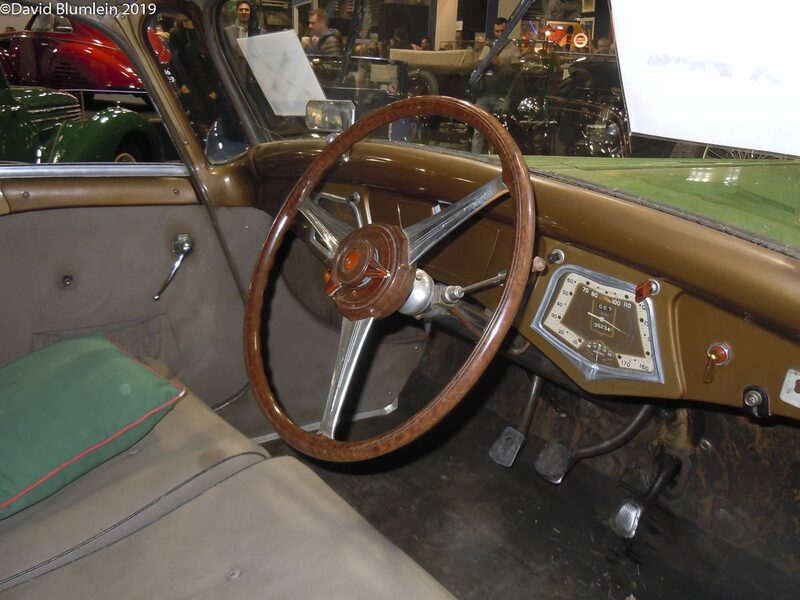 The driver sits at the back with the passenger in tandem in the front. 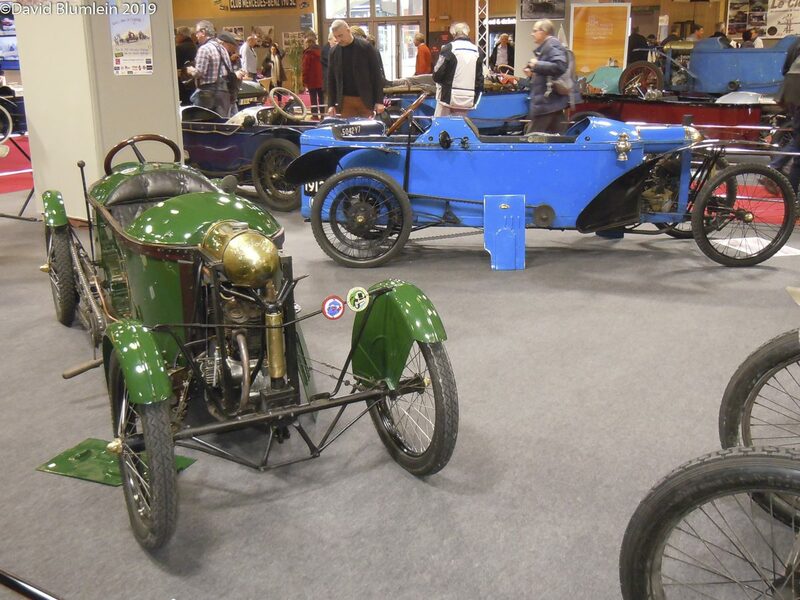 One of these cars won the Cyclecar Grand Prix at Amiens in 1913. 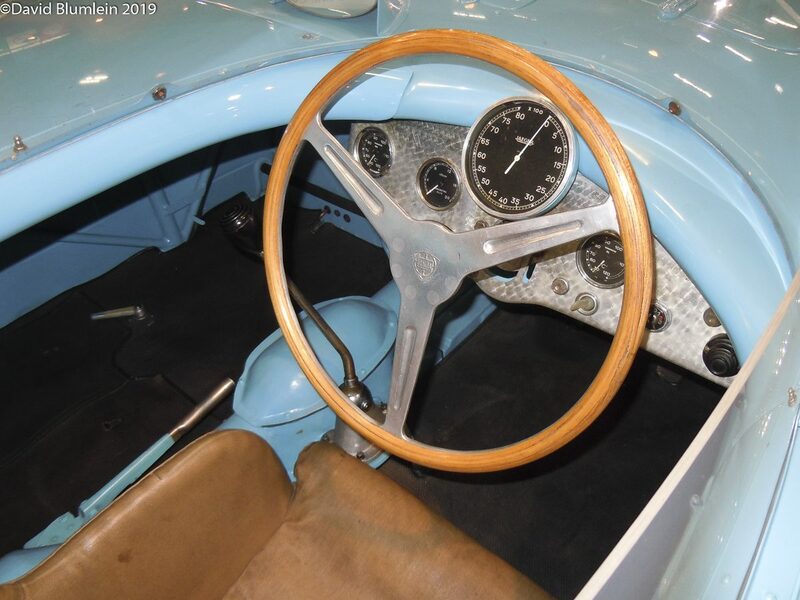 The outstanding sports car of the late Thirties – the BMW 328. 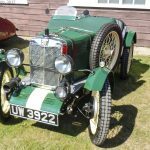 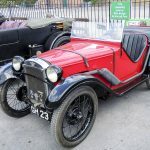 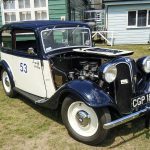 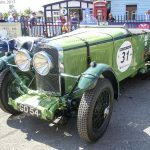 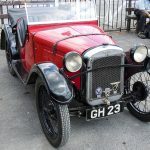 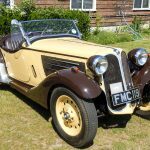 This is a Frazer Nash–marketed version and is the ex-Hugh Hunter car, albeit re-sprayed German white instead of the grey it was pre-war. 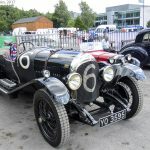 It has a rich competition history including coming 4th in the Brooklands 3-Hour production Car Race on the Campbell Circuit in 1938. 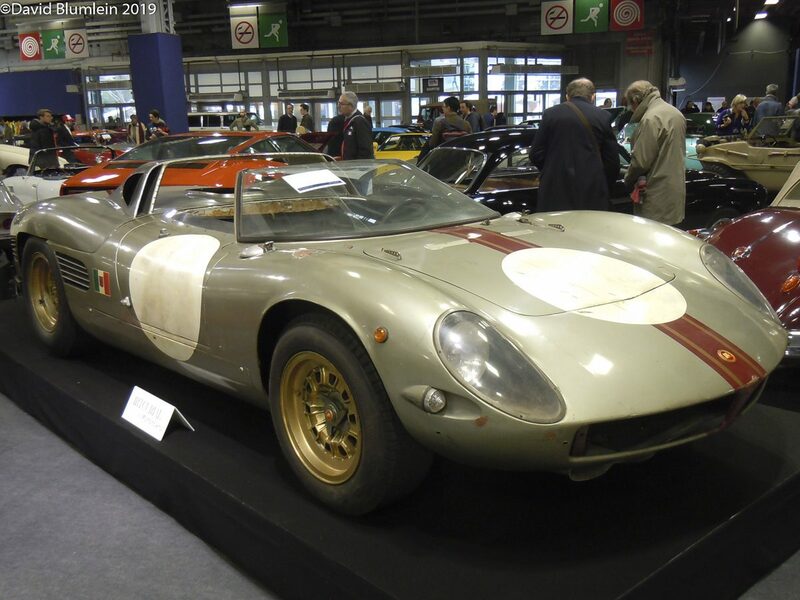 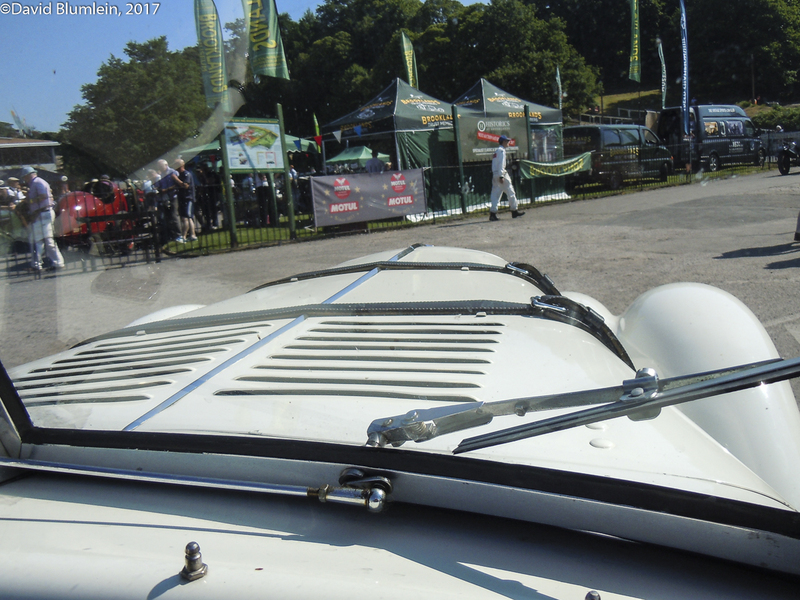 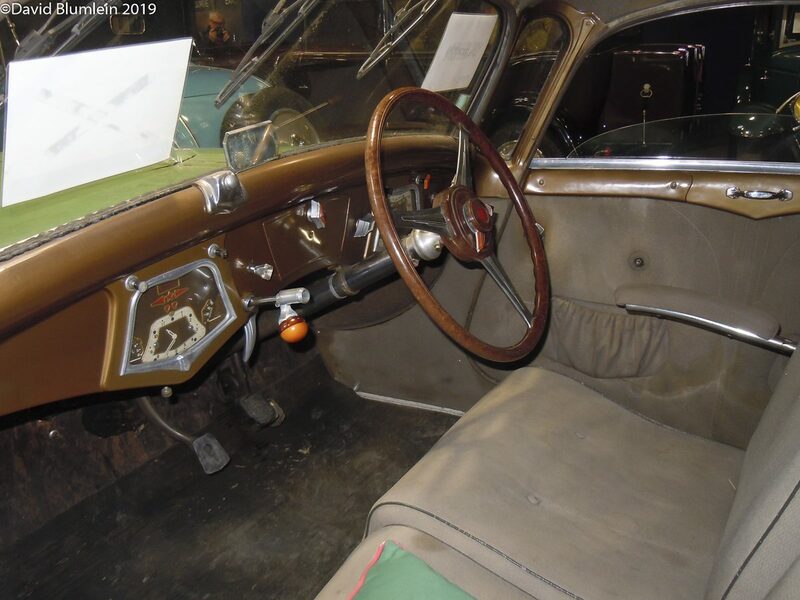 Enjoy the view through the windscreen over the long bonnet with the recessed headlights; these cars from Eisenach dominated the international 2-litre class in their time. 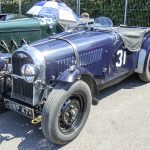 This is the pre-war 2-litre Aston Martin that was raced in the 1948 Spa 24 Hour race by Jack Fairman and Richard Stallebrass. 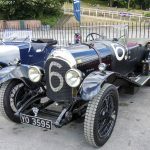 Fairman came in to hand over to his co-driver during the very wet early Saturday evening of the race and the inexperienced Stallebrass lost control on his out lap on the long sweeping bend to Malmédy somersaulting off into a field and sustaining fatal injuries. 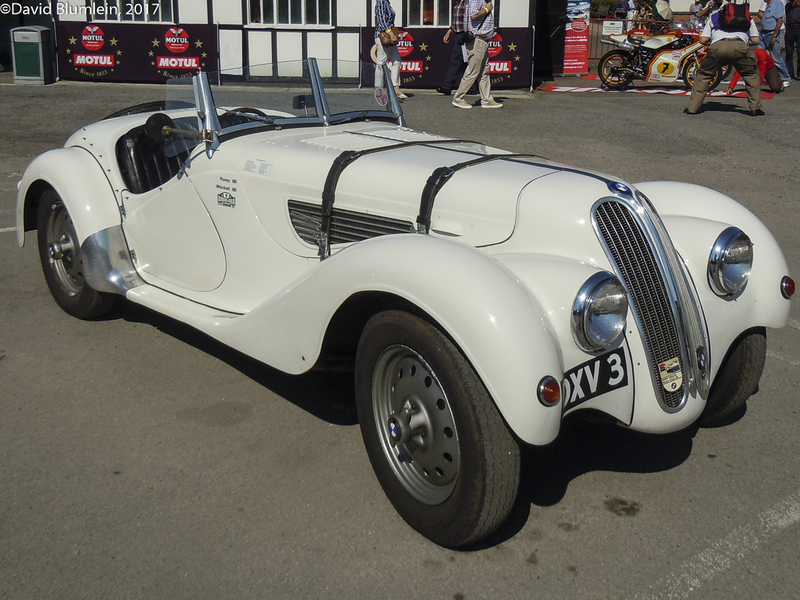 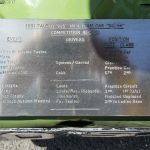 This is a Frazer Nash-BMW 319 saloon. 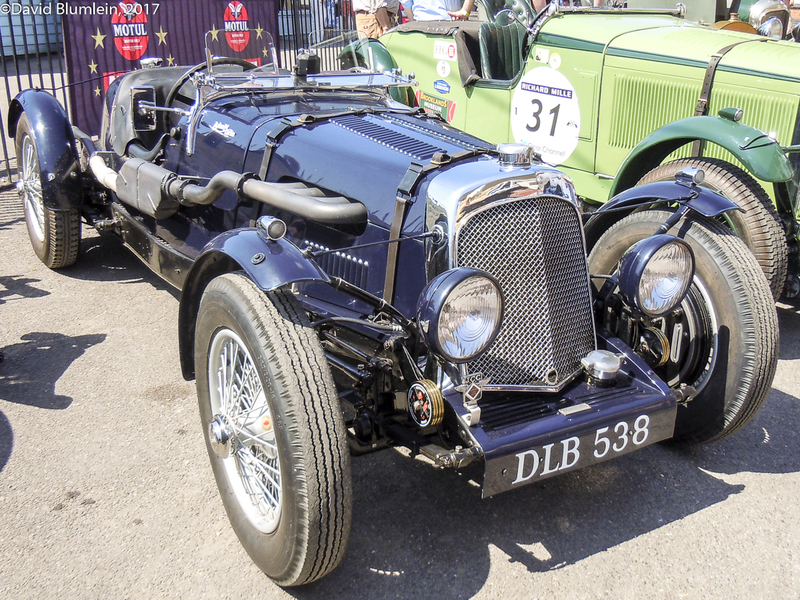 It had a 6-cylinder engine, an ordinary pushrod version not the special head used for the 328. 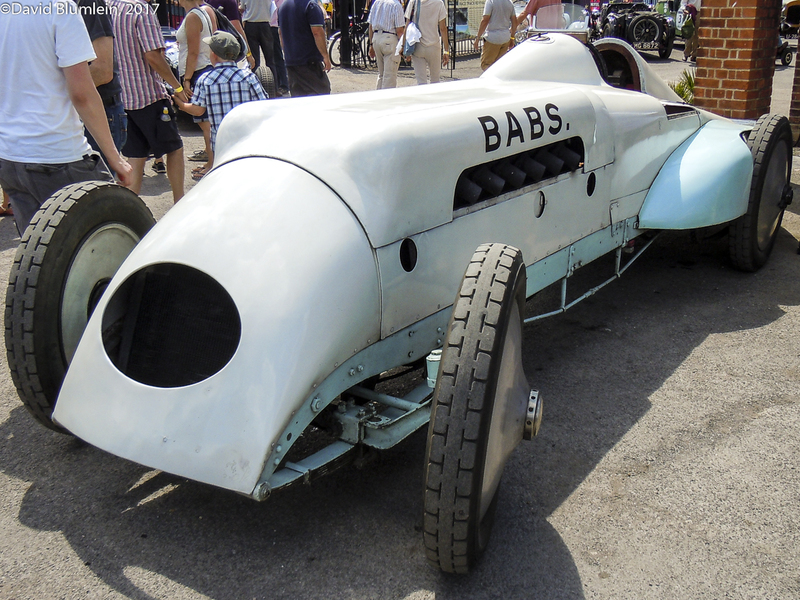 It is always pleasing to see Babs back where she was born. 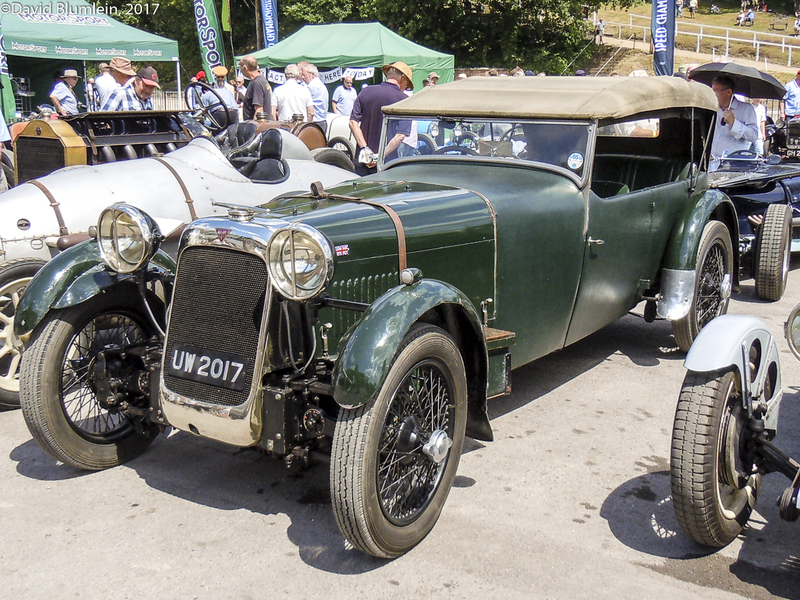 We do not often see a 4-seater tourer version of the Alvis front-wheel drive cars, and rarely with the hood up! 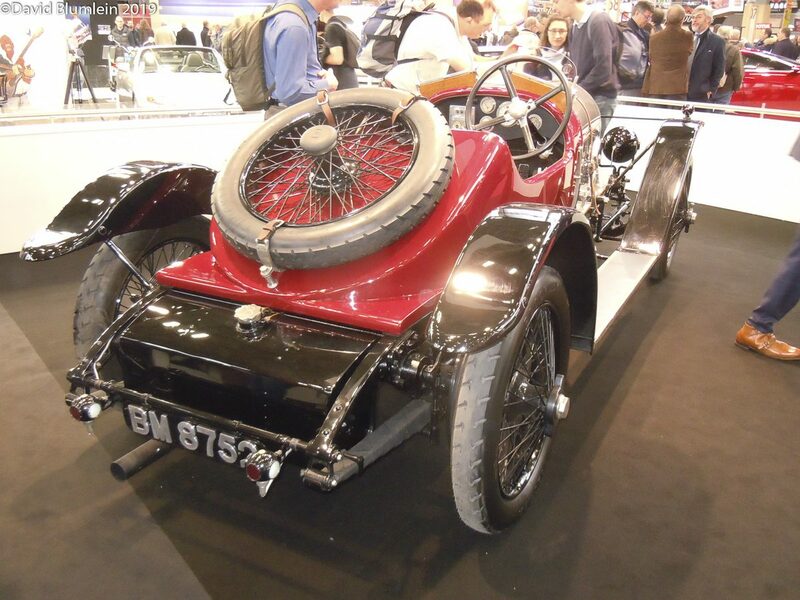 This is a 1929 long chassis car with bodywork by Carbodies and was raced at Brooklands by Edward Farley. 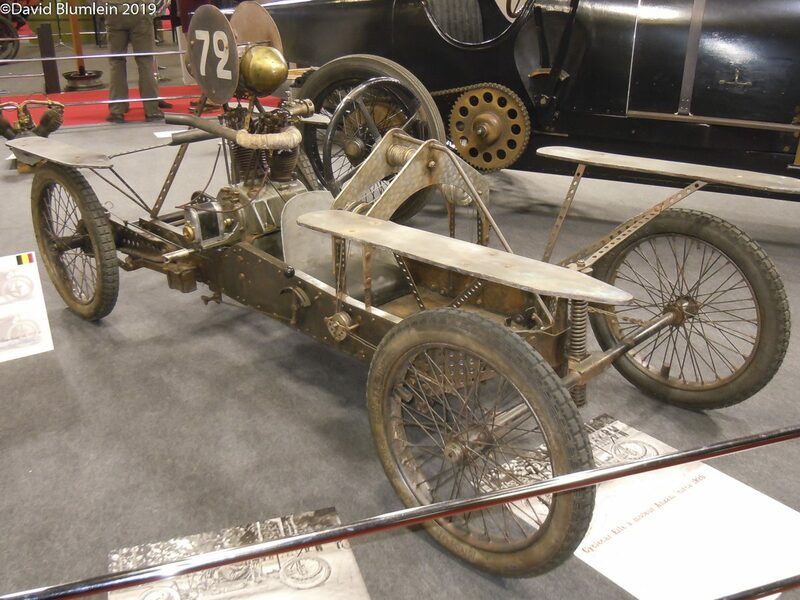 Geoffrey Taylor made a series of advanced sports and racing Altas with advanced suspension and 4-cylinder twin-cam engines he made himself. 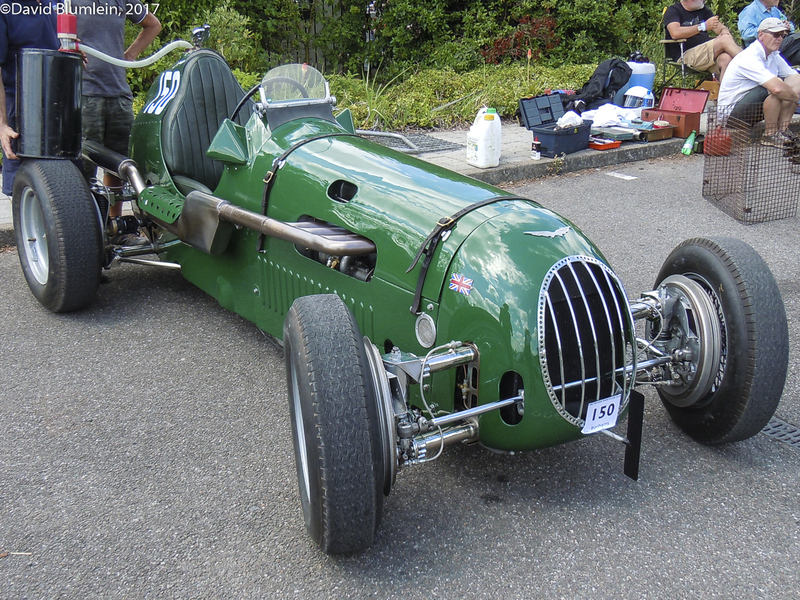 This single-seater is the one raced by George Abecassis to good effect. 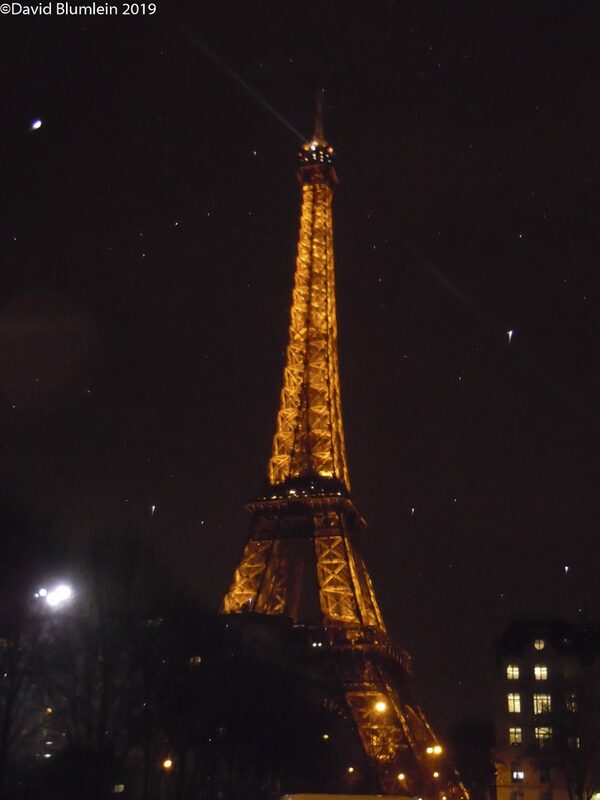 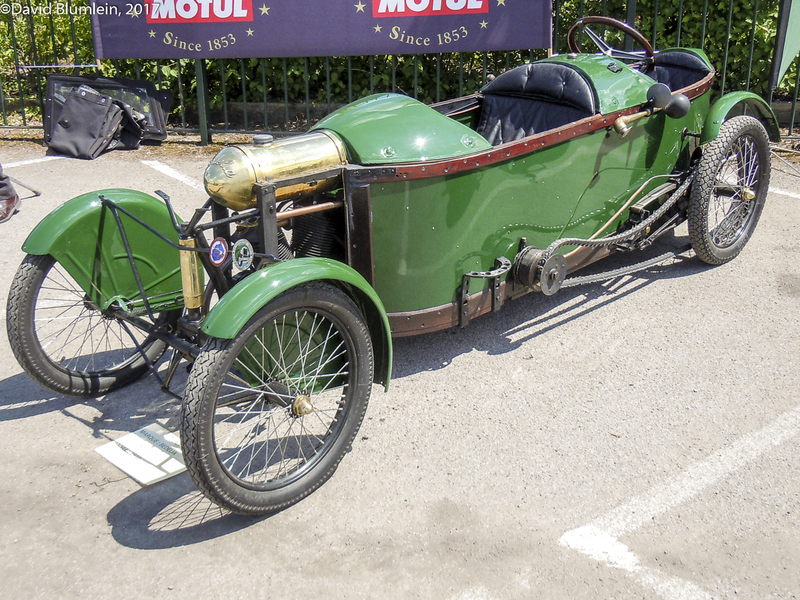 A 1914 Chater Lea. 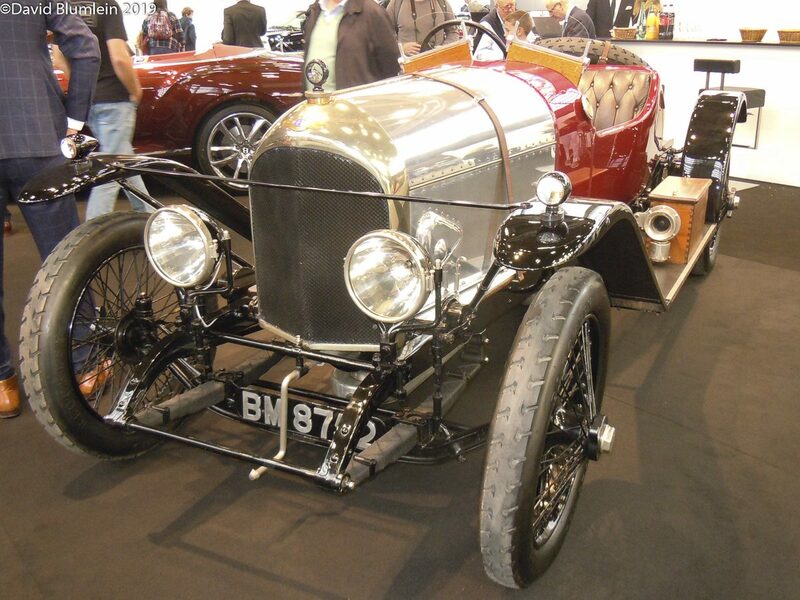 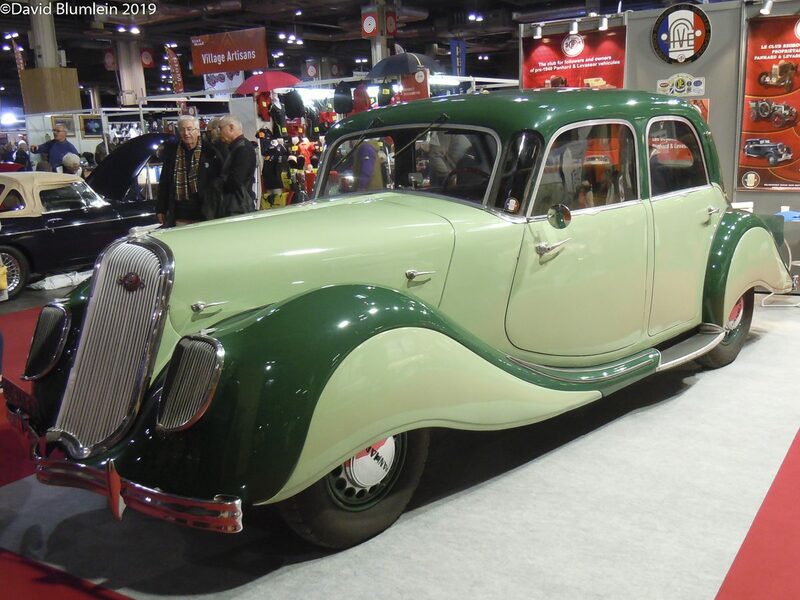 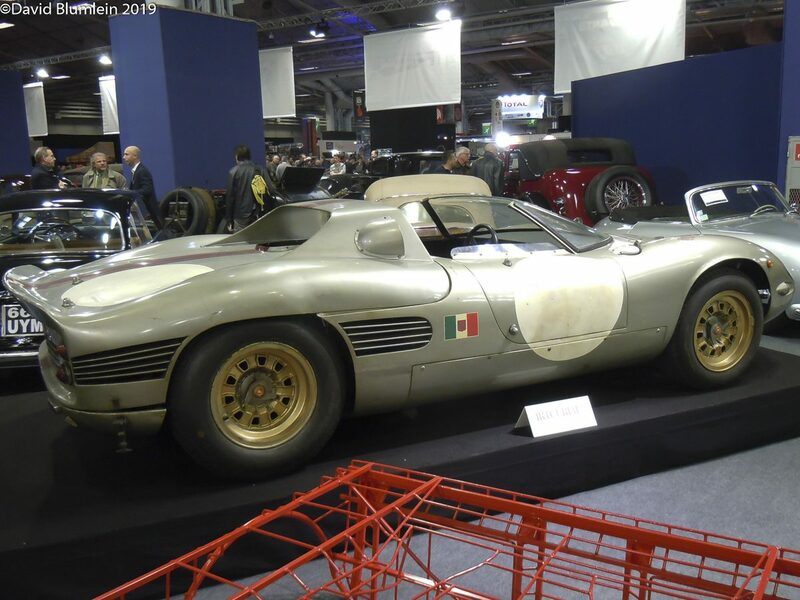 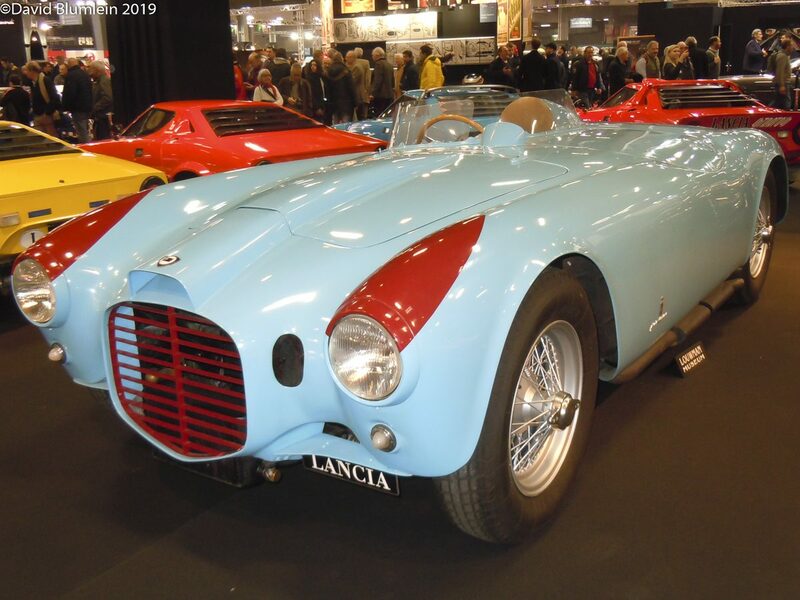 It used a Singer engine tuned by Lionel Martin who had great success with Singers before launching Aston Martin. 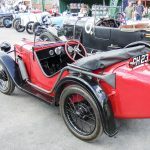 This beautiful Austin Seven Ulster ran in the 1931 Double Twelve race at Brooklands, driven by Phillip Marriage and HJ Searle. 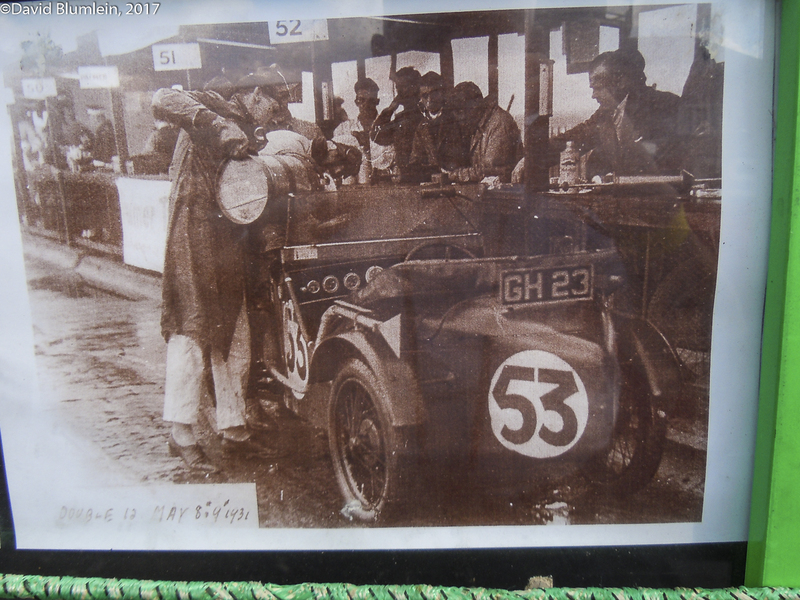 This was the race where the Austin Sevens were finally outpaced by the new Montlhéry C-type M.G. 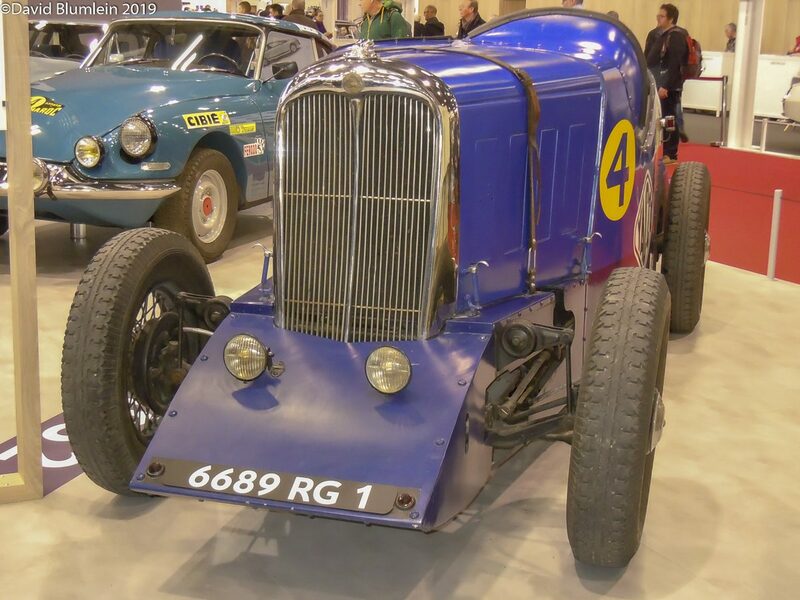 Midgets and this little Austin finished 24th and last. 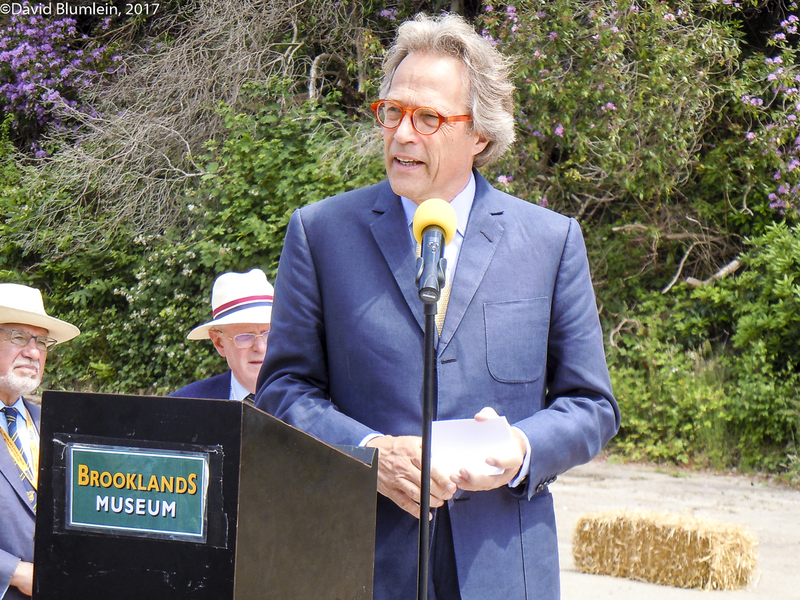 Here we see Lord March with Alan Winn, the Director of the Brooklands Museum, behind giving his address at the opening ceremony. 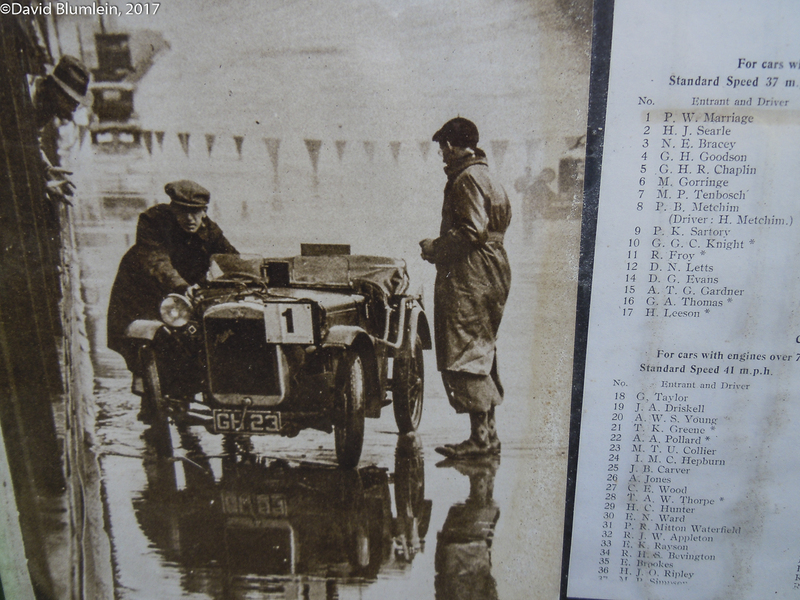 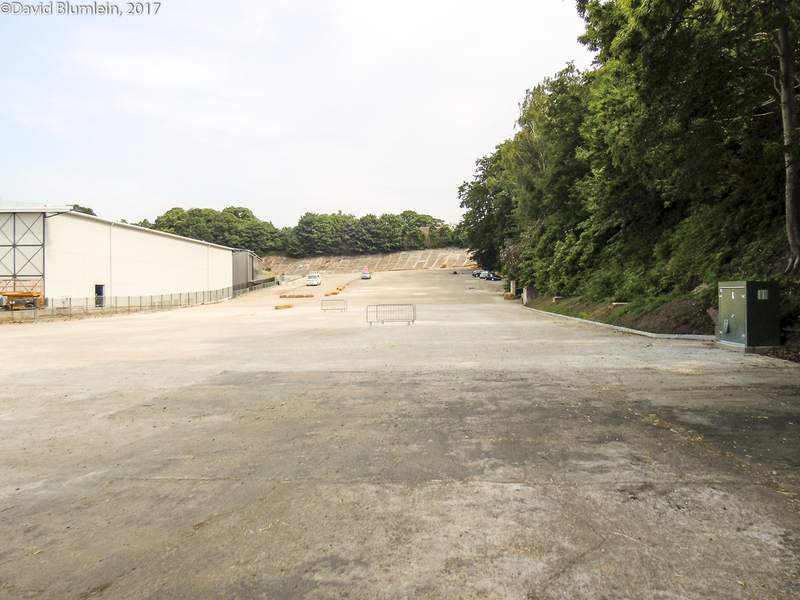 For the first time since 1940, we see the Finishing Straight. 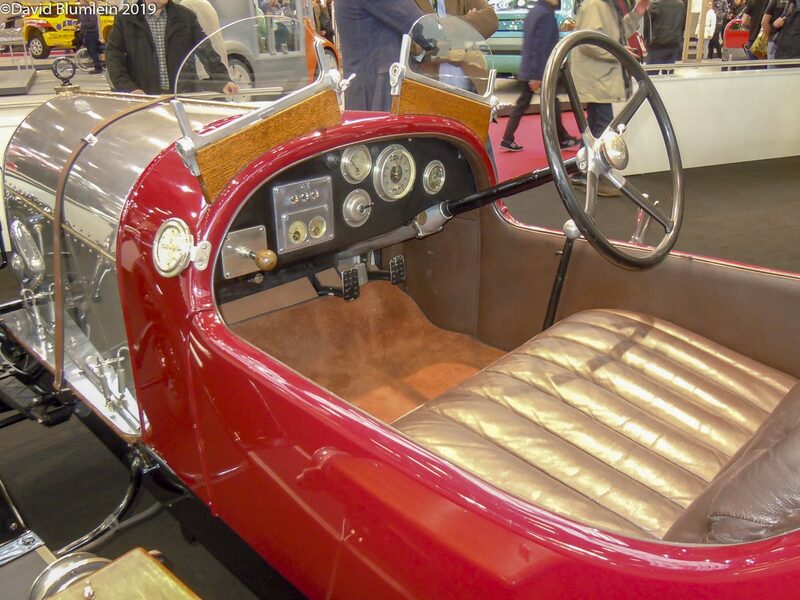 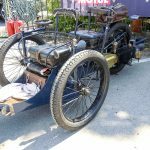 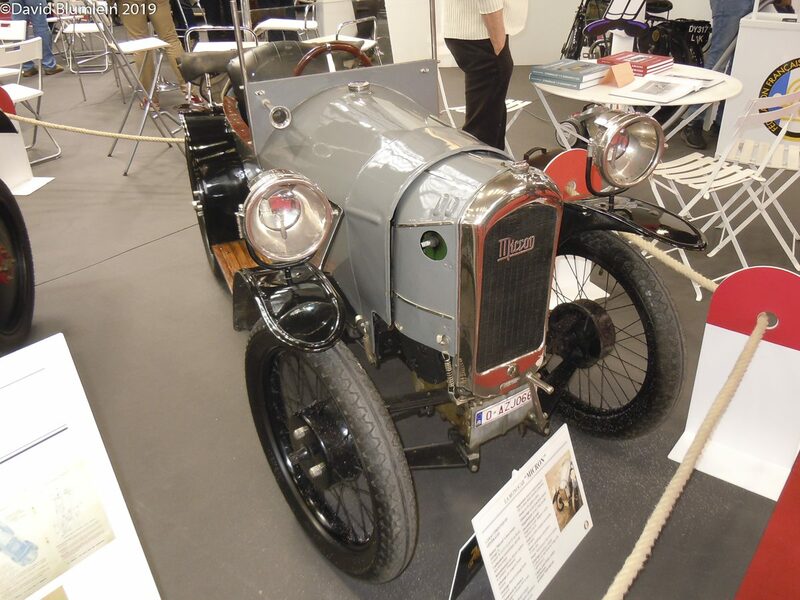 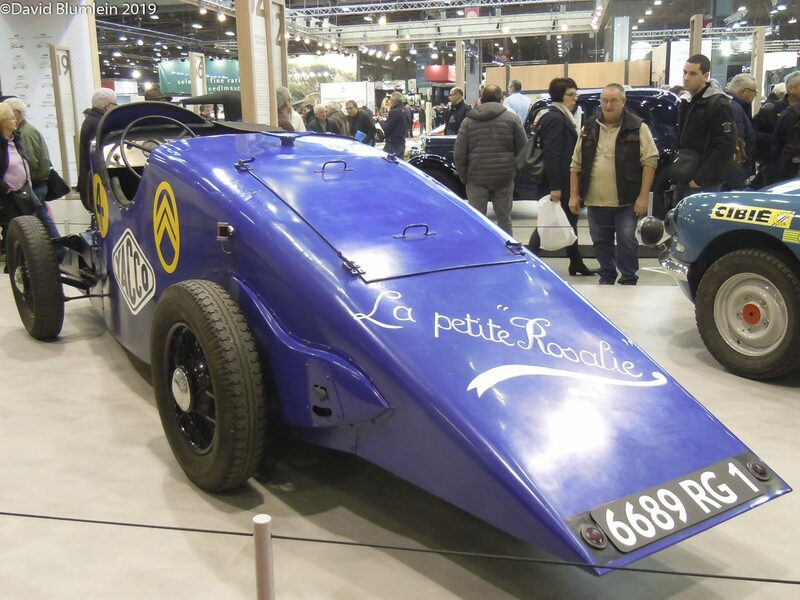 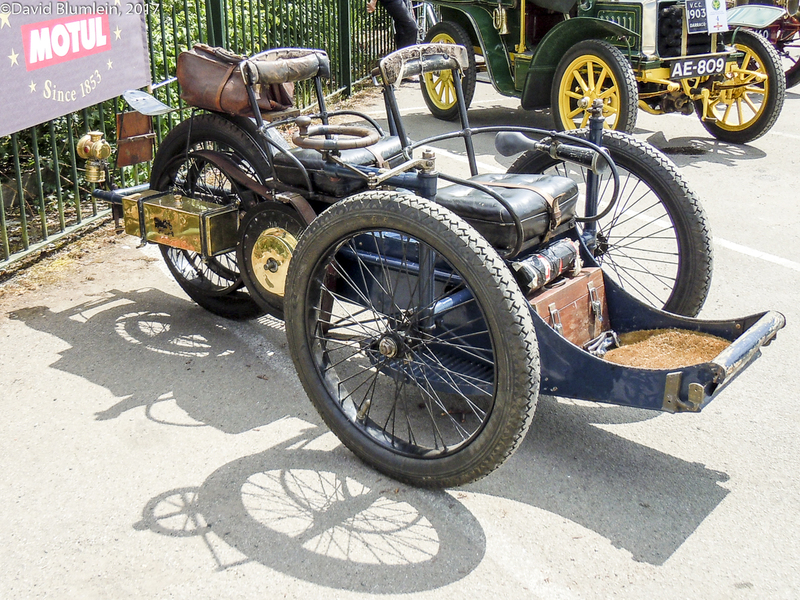 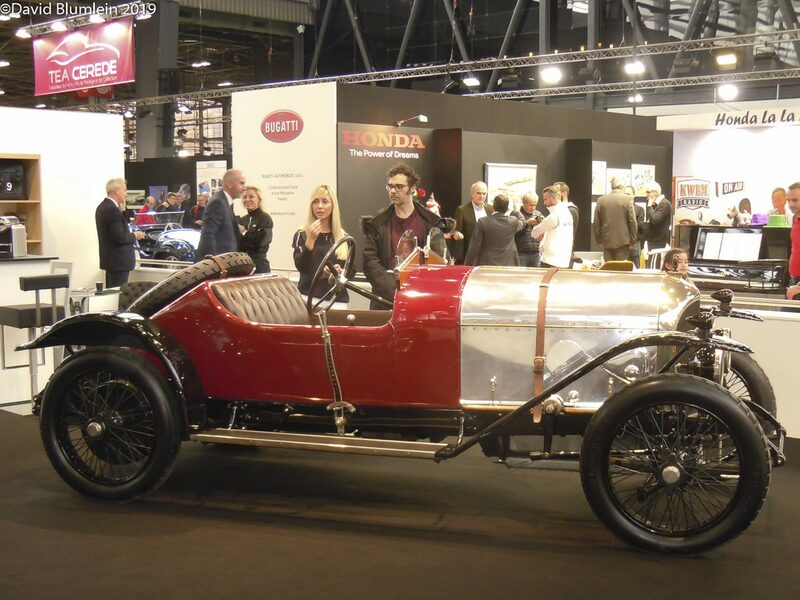 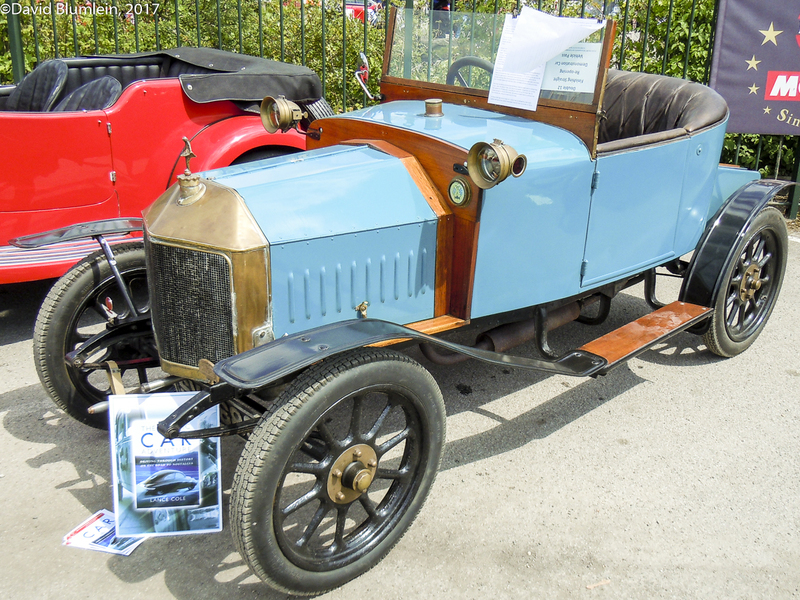 Where motoring began – a lovely little Léon Bollée Voiturette made in Le Mans. 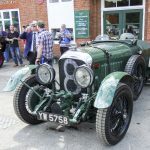 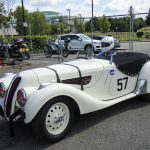 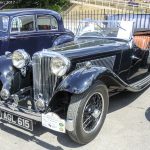 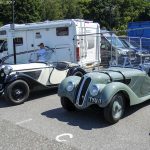 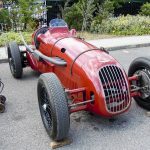 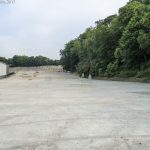 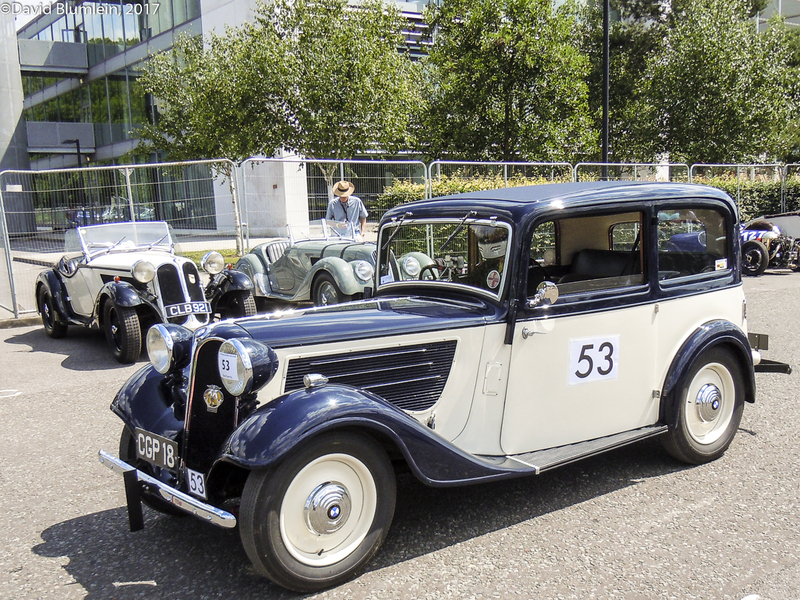 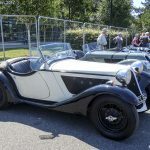 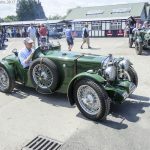 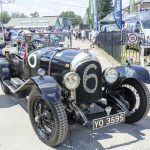 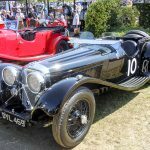 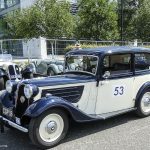 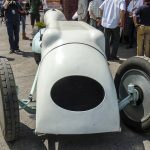 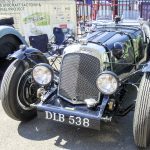 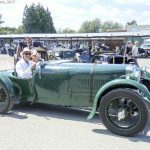 This entry was posted in From A Special Correspondent, Rare and Interesting and tagged 2-litre Aston Martin, Babs, Bédélia cyclecar, BMW 328, Brooklands, Finishing Straight, Frazer Nash-BMW 319, Léon Bollée Voiturette on July 13, 2017 by John Brooks.